Wood primer with barrier function for exterior use, diffusion-capable. Prior to the application of solvent-based or water thinnable top coatings. Free of aromatic hydrocarbons. 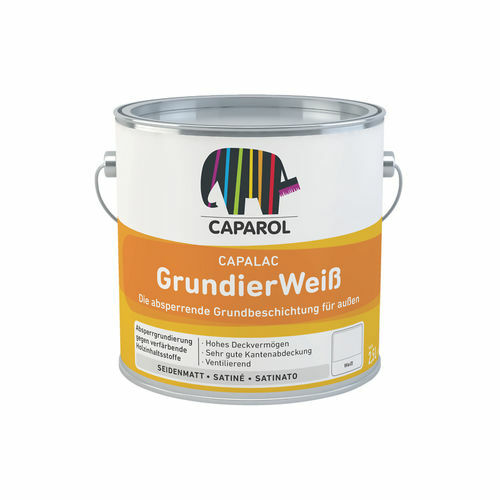 Diffusion-capable primer (undercoat) with barrier function for exterior wooden parts. 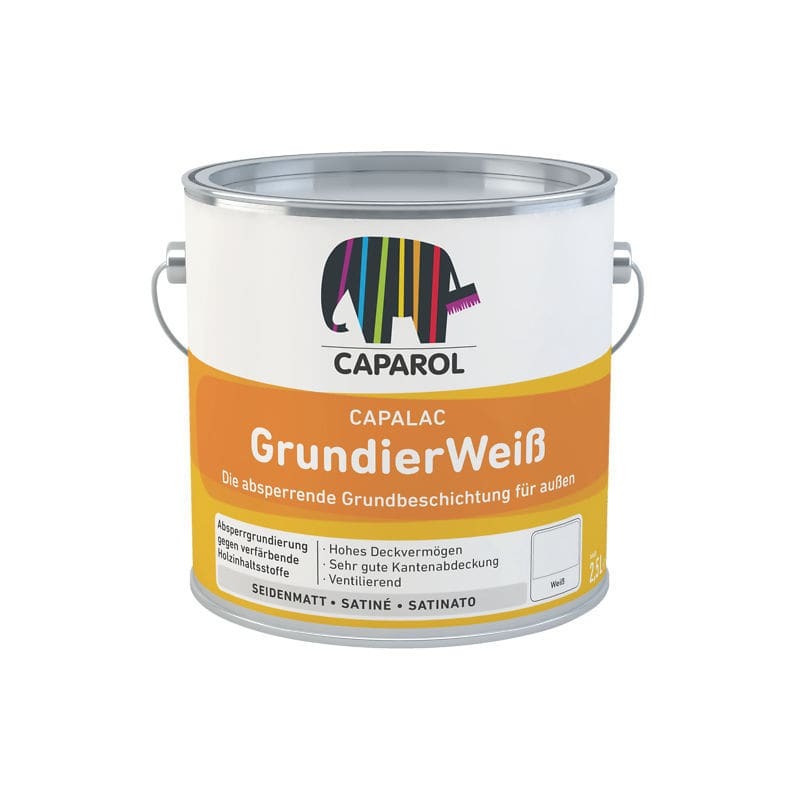 Suitable for wooden components with limited or unlimited dimensional stability as primer prior to the application of Capalac and Capacryl enamels or Capadur Color Wetterschutzfarbe.